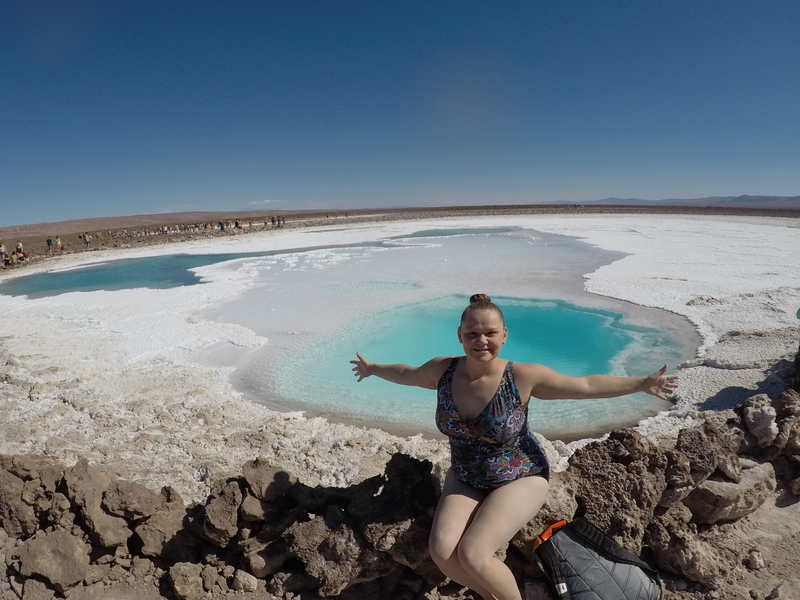 I’m still trying to process all of the wonders that I experienced in the Atacama Desert. Day 1: We arrived to our hostel and immediately went for a stroll through the small, desert town of San Pedro. The dirt roads are lined with companies offering tours to all of the attractions, ice cream shops, and rows and rows of small shops full of colorful, handmade souvenirs. We booked our tours for our 5-day trip, expectant of each place we would be able to visit. Day 2: Tour of “Las Lagunas Escondidas”, the Hidden Lagoons. After about an hour and a half long drive into the middle of nowhere, with only sand dunes surrounding us, we arrived to the 7 magical hidden lagoons. Salt covered the surfaces around the lagoons, making it seem as if we were in the Arctic looking at snow and ice. 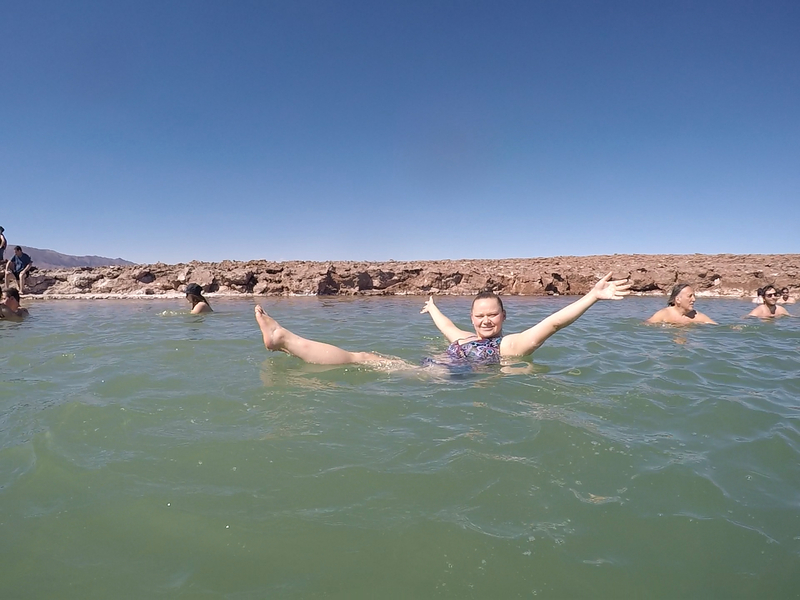 We had the chance to swim in one of the lagoons, but it wasn’t a typical swim. This lagoon has such a high salt content that we were able to float. We relaxed in the lagoon as we escaped to cool down from the burning desert sun for awhile. It was a magical experience. Day 3: Tour of “Piedras Rojas”, Red Rocks. 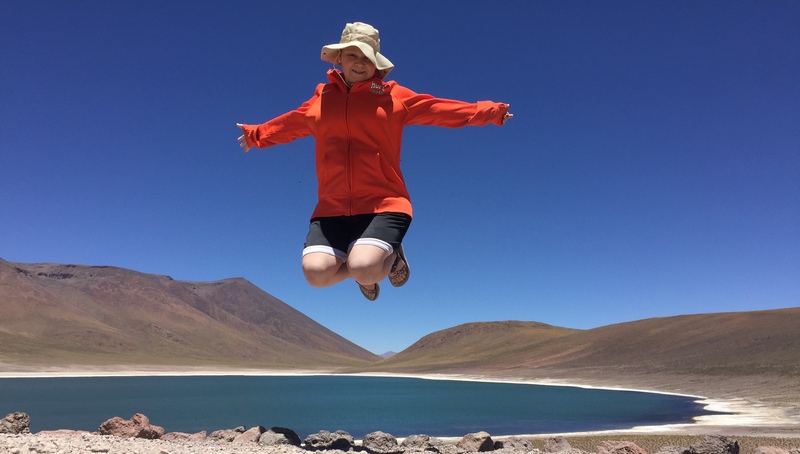 A drive through the Atacama Desert with frequent stops at look-out points to observe lagoons and other beautiful and unique landscapes. 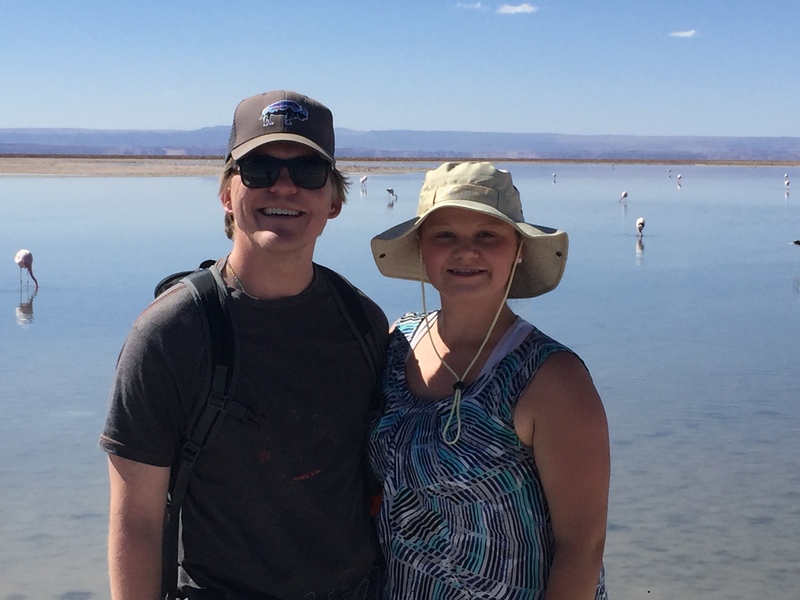 This tour also included a stop to a salt flat with a special lagoon inhabited by three distinct species of flamingos. There are only 6 species in the entire world, and three of them live at this lagoon in Chile! We got to observe the elegant movements of the flamingos, although most of them were eating the entire time we were there (flamingos eat for 16 hours each day!). We learned that flamingos are actually born white/grey and only become pink due to their diet of shrimp and algae, which is high in carotenoid pigments and eventually change their color. Therefore, younger flamingos are practically entirely white/grey. 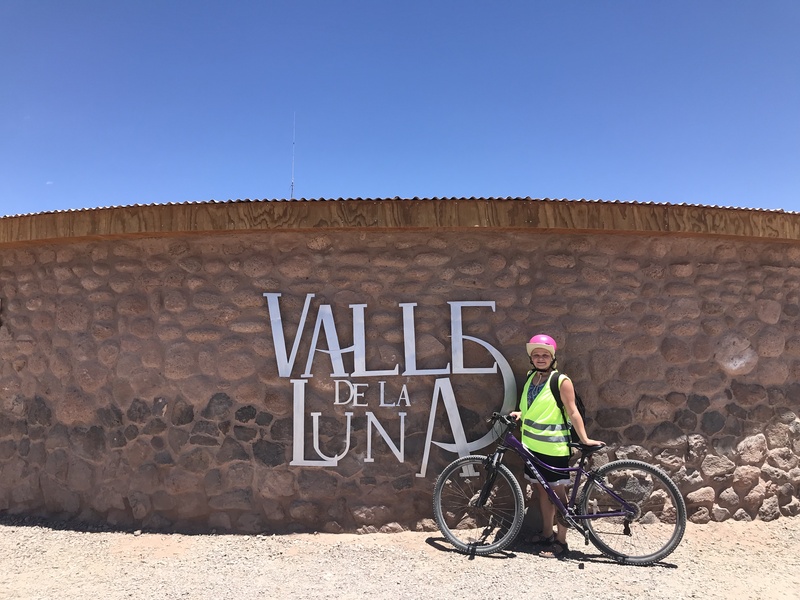 Day 4: During the day, we embarked on a self-guided tour to “Valle de la Luna”, Moon Valley. We biked a total of 18 miles to see the wonders that this place had to offer. A huge salt cave is the biggest attraction, and we wandered through and examined the crazy, intricate and unique formations of the salt particles in each part of this massive cave. 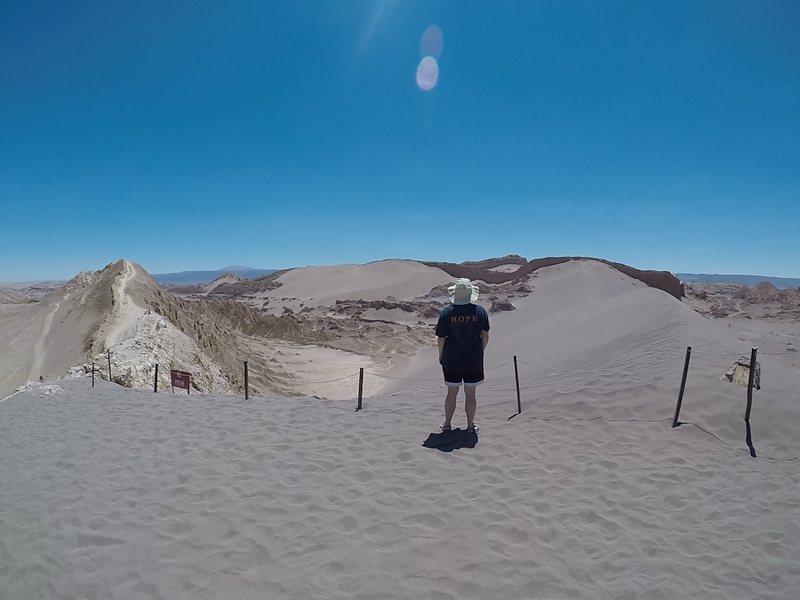 Hiking ginormous sand dunes, more biking, and extreme sweat were also key parts of our journey. 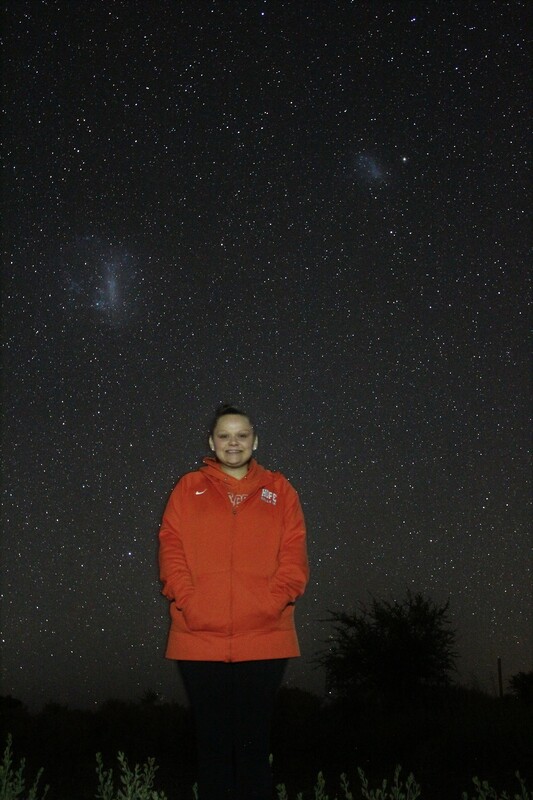 In the evening we did an Astronomy Tour, because the Atacama Desert is the best place in the entire world for astronomy! Due to its extremely high elevation and its dryness (after all, it is the driest place on earth, with the exception of the poles), it is an ideal place to examine the huge night sky full of twinkling and flashing stars, and bright, steady planets. At one point, we were able to see three planets at the same time. It was the first time in my life that the song “Twinkle, Twinkle Little Star” had meaning for me. I am still in awe of the miraculous canvas that is our night sky. 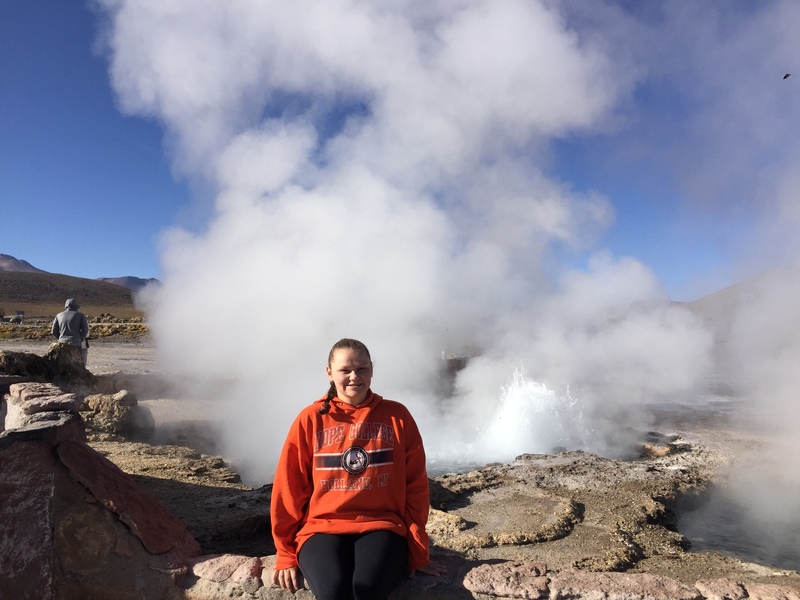 Day 5: Tour of the “Tatio Geysers”. A 4 a.m wake up was necessary for our trip to the third-largest field of geysers in the entire world, and it was so worth it. We watched the sunrise through the steam of these powerful, yet gentle geysers. One of the geysers is usually inactive and sits as a calm geyser until the land underneath heats to a certain level and it explodes, shooting a fountain of steady water into the air for a few seconds, and then becoming calm again, preparing to explode a few minutes later. The final part of this day was spent in a natural hot spring, relaxing and warming up after an extremely cold morning in the high altitude of these Tatio Geysers. Being in the Atacama Desert for five days reminded me of the importance of finding beauty in bare things that might not initially seem exciting- to search for the hidden gems and the flowing water buried deep within the dry sand dunes of the desert — because the beauty does exist and it is pretty miraculous.